GIBBONS, RICHARD, lawyer, office-holder, and chief justice; b. c. 1734 in London, England, son of Richard and Susannah Gibbons; m. 10 May 1783 Susanna Sheperd in Halifax, Nova Scotia, and they had one son and one daughter; d. 3 Aug. 1794 at Nantes, France. 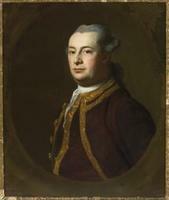 Richard Gibbons’ father was one of the earliest settlers of Halifax, arriving from Virginia by May 1750. Gibbons received legal training in England and in May 1765 became a solicitor at the Court of Chancery in Halifax; the following October he became clerk of the Inferior Court of Common Pleas. In June 1771 he took his seat in the House of Assembly as member for Barrington Township, but the election was annulled when an investigation conducted at his own request revealed irregularities in the campaign. 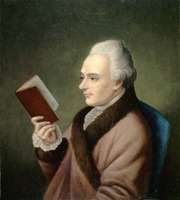 A supporter of Governor Francis Legge’s attempt to reform the provincial administration, Gibbons prepared memoranda on the judicial system and the provincial debt which were critical of Michael Francklin and other established officials opposed to Legge. Gibbons was not interested solely in reform, however. 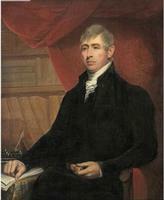 An ambitious man, he hoped that his connection with Legge would lead to a government appointment if any officials were dismissed by the governor. Despite Legge’s recall in 1776, Gibbons did achieve higher office; in January 1777 he was appointed solicitor general, and four years later he became attorney general. He was, however, unpopular with Governor John Parr and other members of Parr’s administration. 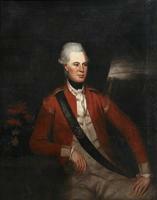 In 1784 a dispute arose between Gibbons and Parr over the issuing of land grants to loyalists. Gibbons’ signature was required on each grant, and he claimed to be entitled to a fee for each name on the grant, even when hundreds of names were involved. After loyalists complained, Parr allowed grants without Gibbons’ signature. Because of his poor relations with Parr, Gibbons was probably glad to accept the offer of Joseph Frederick Wallet DesBarres*, the new lieutenant governor of Cape Breton and a personal friend, to appoint him chief justice of the infant colony. Gibbons was named to the chief justiceship, which carried with it the ex officio presidency of the Executive Council, on 25 July 1785, and shortly afterwards he began to organize Cape Breton’s judicial system. DesBarres was a controversial administrator during whose term of office frequent disagreements divided the Council, and in these clashes Gibbons supported the lieutenant governor against his principal opponents, Attorney General David Mathews, Registrar Abraham Cuyler*, and Colonel John Yorke, the garrison commander. In the winter of 1785 DesBarres quarrelled with Yorke over the right to distribute military supplies to some inhabitants, and Gibbons used legal processes in an attempt to force Yorke to allow this distribution by DesBarres. DesBarres’ opponents succeeded in having him recalled by the British government in November 1786, and before leaving Cape Breton he sent Gibbons to London to plead for his reinstatement. When Parr, who had also quarrelled with DesBarres, heard of this measure, he wrote to Lord Sydney, secretary of state for the Home Department, attacking Gibbons as the “worst of characters.” Gibbons was unsuccessful in having DesBarres restored. Despite this setback, Gibbons was undaunted. Early in 1788 he placed himself at the head of a movement which was seeking a house of assembly for Cape Breton, and in February he addressed the grand jury as “the only representative body of the People,” proposing that it act as a legislative assembly. Macarmick refused to recognize the jurors as “a check on the Governor and Council” and, influenced by Mathews’ views that the incident represented another challenge to his power, dismissed Gibbons from his positions in March. The dismissal brought a storm of protest from Gibbons’ supporters, and the chief justice travelled to Quebec, Halifax, and finally London in an effort to justify his actions, although he was forced to sell his farm and belongings in Sydney to pay his expenses. After arguing his case for three years he was reinstated in March 1791 because of his generally good character. He did not attempt, however, to return to Cape Breton for another three years, and on the voyage Gibbons, his wife, and their son were captured and imprisoned in France. Gibbons’ family was released after 22 months of confinement, but he had already died on 3 Aug. 1794. His son Richard Collier Bernard DesBarres Marshall served as attorney general of Cape Breton for a time and was active in the agitation before 1820 to have a house of assembly granted to the colony. After Cape Breton was reannexed to Nova Scotia that year, he became a leader of the Cape Breton separatist movement which was active until 1846. Gibbons Jr died in 1863. PAC, MG 11, [CO 2171, Cape Breton A, 2, pp.39–41, 141–44; 3, pp.1–9, 84–93; 5, pp.68–70, 83, 86, 93; 7, pp.125–26; 8, pp.85, 125–26, 152–53, 158–59, 163, 167; Nova Scotia A, 90, p.218; 91, p.208; 98, p.4; 99, pp.156–59; MG 23, Fl, ser.5. PANS, MG 1, 262B (Dodd family docs., 1788); RG 1, 53, pp.440–41. PRO, CO 217/112, ff.138–39. John Doull, Sketches of attorney generals of Nova Scotia (Halifax, 1964), 9–18. G. N. D. Evans, Uncommon obdurate: the several public careers of J. F. W. DesBarres (Toronto and Salem, Mass., 1969). R. J. Morgan, “Orphan outpost: Cape Breton colony, 1784–1820” (unpublished phd thesis, University of Ottawa, 1972); “Joseph Frederick Wallet DesBarres and the founding of Cape Breton colony,” Revue de l’université d’Ottawa, XXXIX (1969), 212–27. R. J. Morgan, “GIBBONS, RICHARD,” in Dictionary of Canadian Biography, vol. 4, University of Toronto/Université Laval, 2003–, accessed April 24, 2019, http://www.biographi.ca/en/bio/gibbons_richard_4E.html.